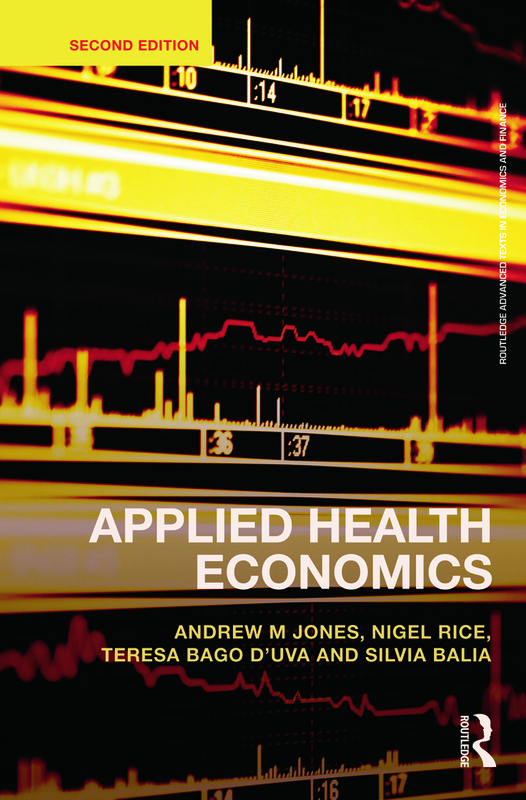 The first edition of Applied Health Economics did an expert job of showing how the availability of large scale data sets and the rapid advancement of advanced econometric techniques can help health economists and health professionals make sense of information better than ever before. This second edition has been revised and updated throughout and includes a new chapter on the description and modelling of individual health care costs, thus broadening the book’s readership to those working on risk adjustment and health technology appraisal. The text also fully reflects the very latest advances in the health economics field and the key journal literature. Large-scale survey datasets, in particular complex survey designs such as panel data, provide a rich source of information for health economists. They offer the scope to control for individual heterogeneity and to model the dynamics of individual behaviour. However, the measures of outcome used in health economics are often qualitative or categorical. These create special problems for estimating econometric models. The dramatic growth in computing power over recent years has been accompanied by the development of methods that help to solve these problems. The purpose of this book is to provide a practical guide to the skills required to put these techniques into practice. Practical applications of the methods are illustrated using data on health from the British Health and Lifestyle Survey (HALS), the British Household Panel Survey (BHPS), the European Community Household Panel (ECHP), the US Medical Expenditure Panel Survey (MEPS) and Survey of Health, Ageing and Retirement in Europe (SHARE). There is a strong emphasis on applied work, illustrating the use of relevant computer software with code provided for Stata. Familiarity with the basic syntax and structure of Stata is assumed. The Stata code and extracts from the statistical output are embedded directly in the main text and explained at regular intervals. The book is built around empirical case studies, rather than general theory, and the emphasis is on learning by example. It presents a detailed dissection of methods and results of some recent research papers written by the authors and their colleagues. Relevant methods are presented alongside the Stata code that can be used to implement them and the empirical results are discussed at each stage. This text brings together the theory and application of health economics and econometrics, and will be a valuable reference for applied economists and students of health economics and applied econometrics.